This course is available on MyMathLab for School. 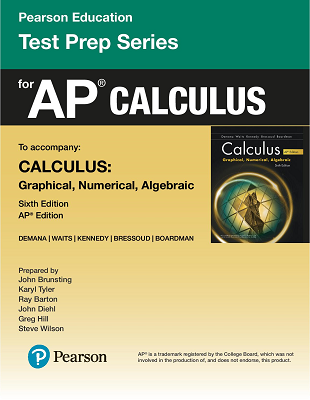 and goals of the Advanced Placement (AP*) Calculus courses (AB and BC). more helpful to you and your students in certain parts of the course. A very broad look at the overall goals of this text is given in the following bulleted summary. graphing calculators will be used as a tool to facilitate such understanding. and will understand its connection to local linearity and instantaneous rates of change. appreciate the connection between derivatives and integrals. 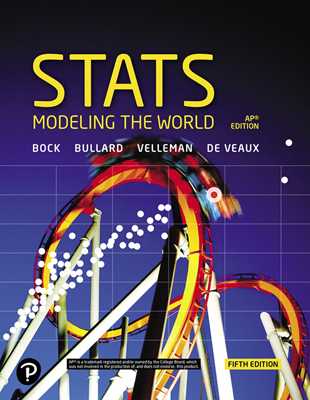 effectively, using proper mathematical language and syntax. situations with differential equations and solve initial value problems analytically. approximate or bound truncation errors in various ways. plane (through vectors) and to the analysis of polar curves. and students are looking for in these pages. 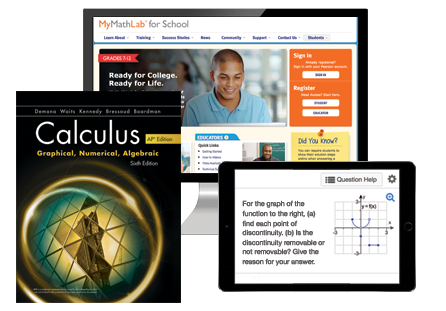 As with previous editions, we have kept our focus on high school students taking one of the College Board’s AP courses, Calculus AB or Calculus BC. The topics in the text reflect both the curriculum and the pedagogy of an AP course, and we do what we can to prepare students for the AP examinations throughout the text. To be consistent with the AP exam, we have changed all multiple-choice questions in the exercises to show four options rather than five. Also, as free-response questions on the AP examinations continue to evolve in focus and style, we have added or amended our exercises to reflect those changes. 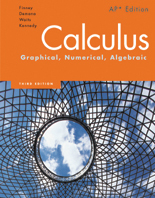 Although the role of graphing calculators in the course has not changed significantly since the fifth edition, we continue to review the gray “no calculator” ovals in the exercise sets to reflect an emerging consensus among calculus teachers that not every problem that can be solved without a calculator ought to be solved without a calculator. We have further expanded the treatment of the derivative as a measure of sensitivity, which now appears as an ongoing topic in several different sections of the text. We have also enhanced our commitment to point-slope form for linear equations throughout the text, writing them all in a form that emphasizes the concept of local linearity, critical for understanding differential calculus. Two new features have been added in response to the MPACs. 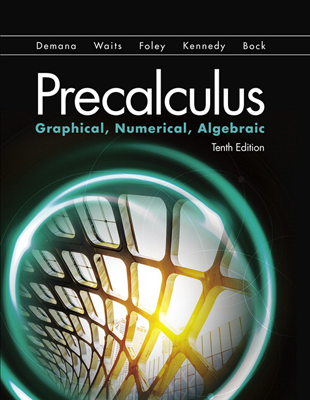 There are now Notational Fluency Notes sprinkled throughout the text, and each set of Chapter Review Exercises begins with Reasoning with Definitions and Theorems questions that require students (individually or with their classmates) to dig more deeply into the concepts of calculus in order to understand them better. Most of the motivational “Chapter Opener” problems are new and improved in this edition, and (thanks to David) many more historical nuggets have been sprinkled throughout the book. We also confess that some of the nuggets that were already there were in need of refinement. For example, the curious object called Gabriel’s Horn in previous editions is now called Torricelli’s Trumpet, with an accompanying historical note to give full credit where credit is due. 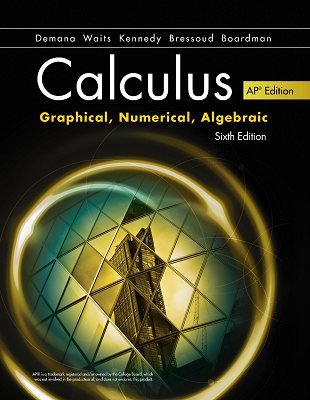 Finally, be assured that we have looked carefully at the content of the new AP Calculus Curriculum Framework, and there is nothing therein that is not covered in this text. Moreover, the emphases are in harmony with the objectives of the AP course, as they have always been.